If you have a computer and Internet access, and you are hip to what’s going on in the world, then you have likely heard of The Oatmeal and read one or more of his cleverly crude comics. This book is a collection of some of his classic comics, including the Velociraptor, Nicola Tesla, the Semicolon, and more. I find that with The Oatmeal, I always enjoy reading his newest works as they are published. I usually LOLz at least once at the randomness and grossly-drawn humanoids or beasts. But reading all of them in a row really draws attention to some of the weaker pieces. The titular Punch a Dolphin comic, for instance, isn’t all that funny. It’s a great book title, but the reasons themselves are pretty lame. 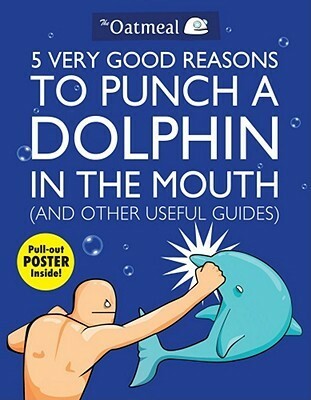 I could think of way better reasons to punch a dolphin; I just don’t feel like it right now. Really, I bought this book for the pull-out poster. It has since been lost, and I never did hang it up, but I know I was stoked about it at the time. 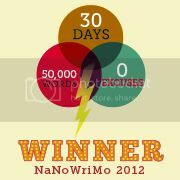 If you want to check out Inman’s work without buying his books, visit his web site. His work really is impressive. And the man got his fans to fund a Nicola Tesla museum through Kickstarter. High five, bro.